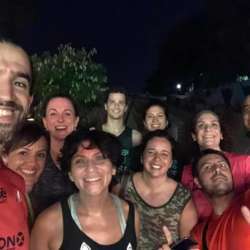 You must be a member of the Buenos Aires Runners Group to attend this activity. Would you like to join this group? NEW RUNNERS AND WALKERS WELCOME! The Protected content will drop you right at the meeting point (check the map for the exact spot). WE WON'T CANCEL THE ACTIVITY IF IT RAINS. We like challenges!